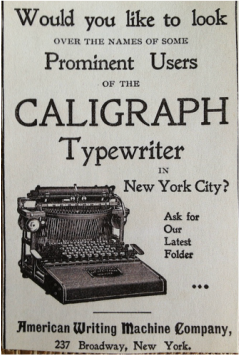 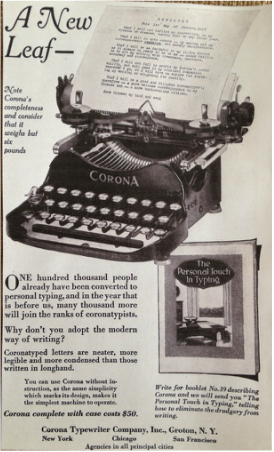 Today, Typewriter Advertisements show the history and evolution of the writing machine that became known as the typewriter. 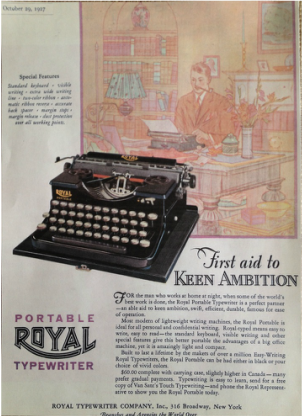 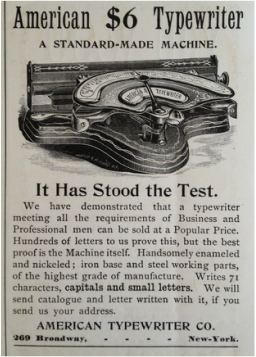 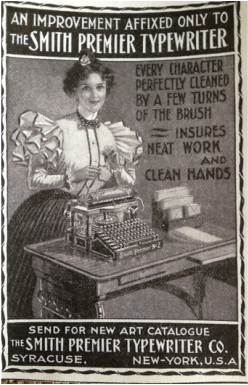 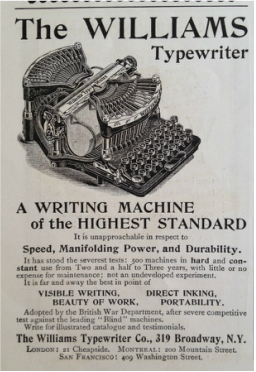 The first, and last typewriters were all advertised. 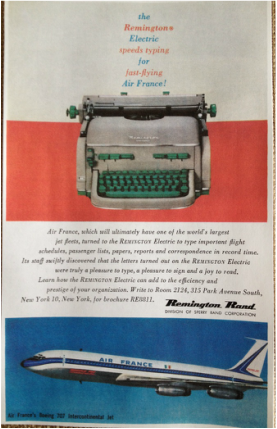 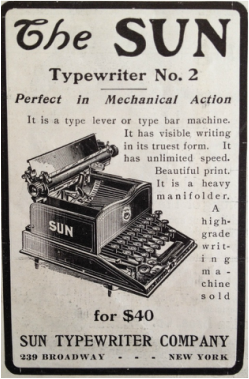 Typewriters 101 now sells copies of the original advertisements that we have in our possession. 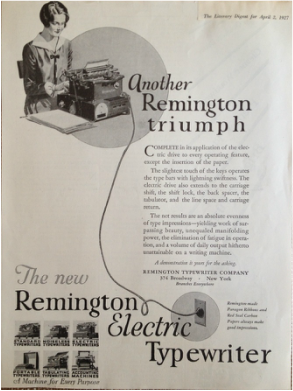 Our ads stretch from the late 1880s to the electric era in the 1980s. 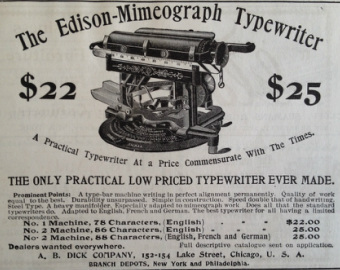 Just remember that these are not original advertisements we are selling, but rather photocopies. 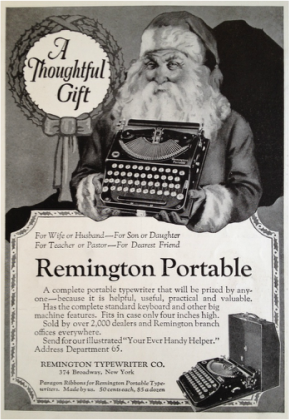 Shipping is free to all lower 48 states in America. 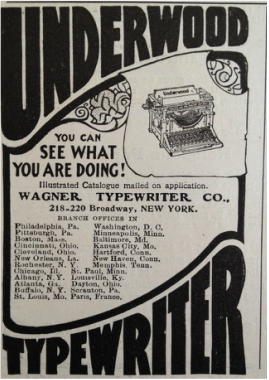 Please ask for a shipping quote if you are outside the lower 48 states, or are located in another country. 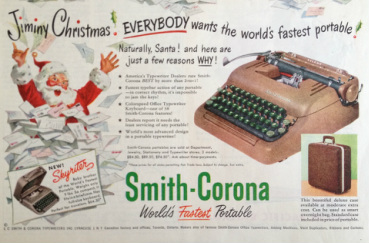 All Advertisements are still in stock unless mentioned as being out of stock. 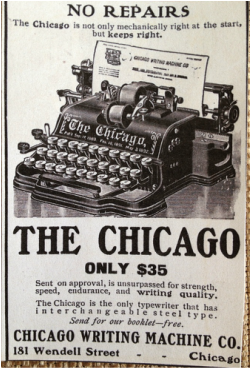 In order to receive the correct advertisement when buying, please use the simple code that can be found in the description of each advertisement when you Contact Us. 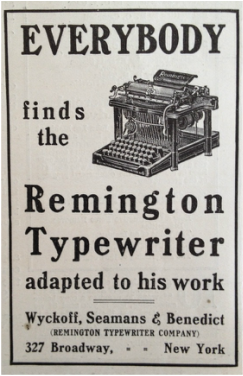 Approximate Size... 6" x 8"
Company............... 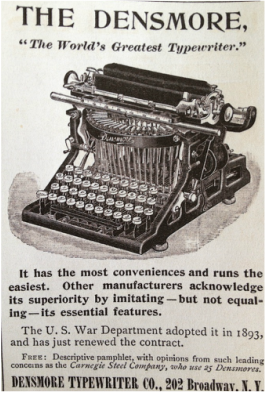 The Columbia Typewriter Co. 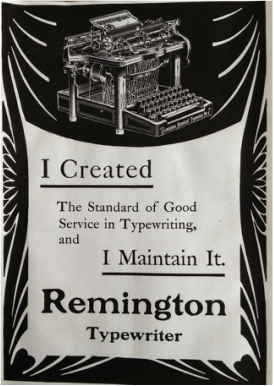 Approximate Size... 3" x 4"
Approximate Size... 3" x 8.5"
Company.............. L.C. 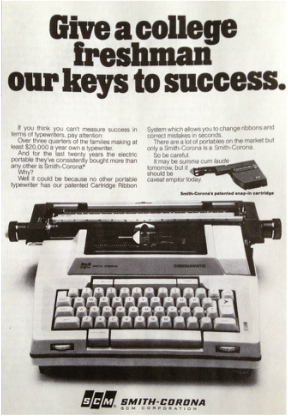 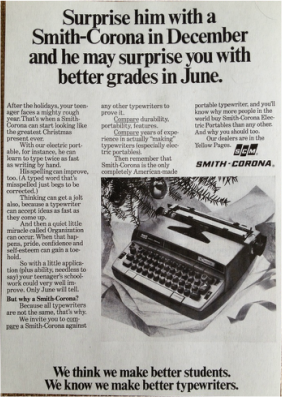 Smith & Corona Typewriter Inc. 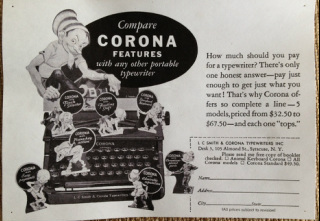 Approximate Size... 6" x 4.5"
Approximate Size... 5" x 8"
Company............... 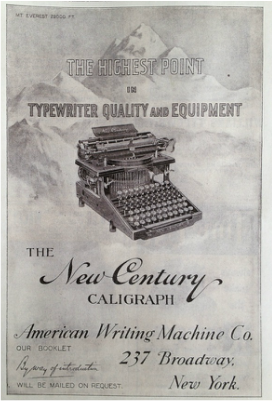 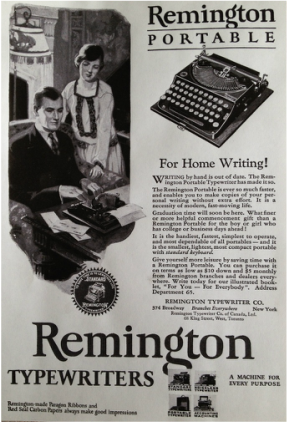 The American Writing Machine Co. 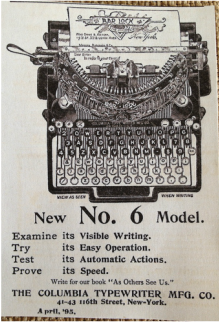 Approximate Size... 2.5" x 4"
Approximate Size... 6.5" x 8.5"
Approximate Size... 5.5" x 8"
Approximate Size... 6" x 9"
Company............... 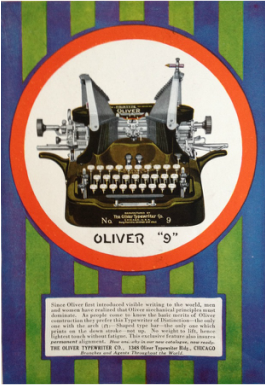 The Oliver Typewriter Co.
Company............... 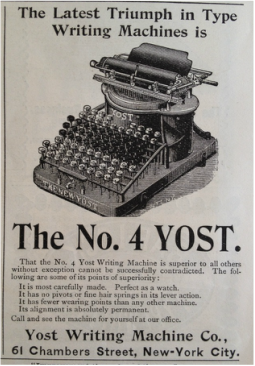 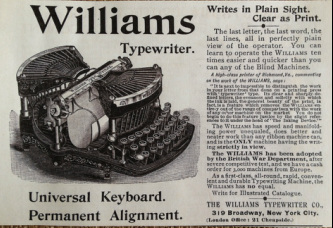 The Williams Typewriter Co.
Company............... Yost Writing Machine Co.
Company............... 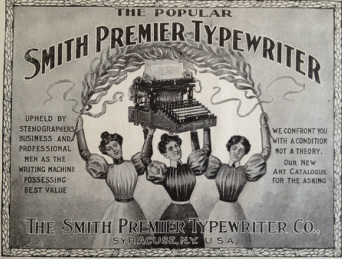 The Smith Premier Typewriter Co. 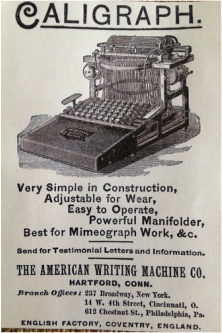 Approximate Size... 5.5" x 4"
Approximate Size... 10.5" x 6"
Approximate Size... 6.5" x 4"
Approximate Size... 5.5" x 8.5"
Company............... Chicago Writing Machine Co. 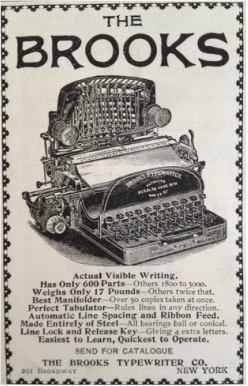 Approximate Size... 7.5" x 10"
Company............... Smith Premier Typewriter Co.
Company............... L.C. 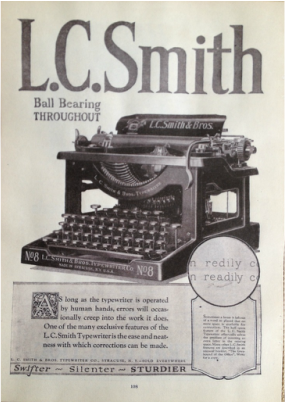 Smith & Bros Typewriter Co. 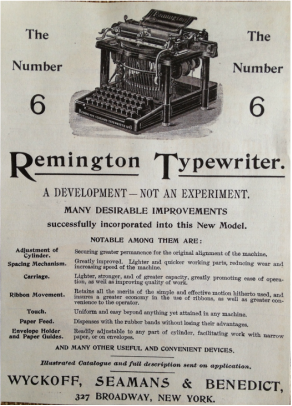 Approximate Size... 6" x 8.5"
Company............... 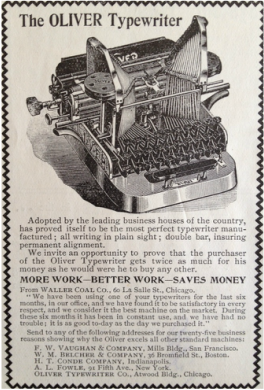 The Brooks Typewriter Co. 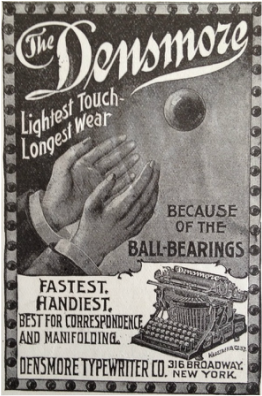 Approximate Size... 6" x 4"
Approximate Size... 8" x 11"